Tech giant Google is on the long list of firms caught donating to a Mississippi senator who has praised the Confederacy, expressed excitement at the prospect of attending a public hanging, and has been called a white supremacist. It seems the company has now, at its own sluggish pace, gone to the trouble of asking if maybe Sen. Cindy Hyde-Smith’s campaign wouldn’t mind maybe returning that $5,000. 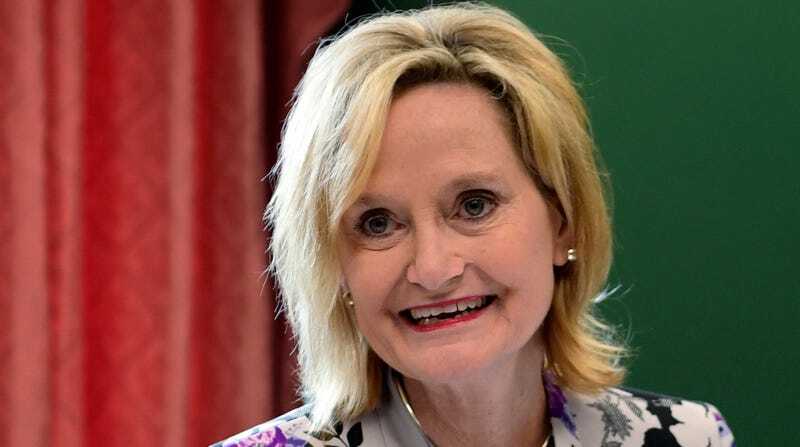 As reported by Popular Information, an unnamed representative of Google’s NetPAC sent an email to “confirm that a request for a refund of the contribution to Senator Hyde-Smith’s campaign has been made,” citing her hanging comments as the cause. The email was reportedly distributed on November 21—19 days after the campaign event where that comment was made, nine days after those comments became widely publicized, and six days after other companies began asking for their donations to be returned. Google confirmed to Gizmodo that it asked for a refund of the campaign donation to Hyde-Smith. Other companies hoping to avoid the bad PR of associating with a candidate whose remarks were widely understood to be a reference to lynchings include Walmart, Major League Baseball, Union Pacific, Boston Scientific, Pfizer, and AT&T. Many of those, including Walmart and MLB, have asked for refunds. Some conflicting information exists around when exactly Google donated to the Hyde-Smith campaign, but in a statement to press, the company claimed to be unaware of her comments when that check was written. Hyde-Smith, whom President Trump supported, is projected to win in a runoff election against Democratic opponent Mike Espy on Tuesday. We’ve reached out to the Hyde-Smith campaign for comment and will update when we hear back.